Help be the hands and feet of Jesus. The childhood malnutrition rate in the country of Guatemala is over 50%. That’s right, more than half the children in the country are not getting the nutrients they need to lead strong and healthy lives. God calls His people to care for the widow and the orphan, and to care for the poor and needy. In light of these truths, Orchard Hill Church partners with One More Child to support the work of their healing efforts in the San Juan Sacatepéquez, Guatemala children’s malnutrition center. We seek to support these efforts through prayer, financial giving, child sponsorship, and mission team volunteers. The malnutrition center is run similarly to an orphanage. However, the children are not actually orphans, but have been left at the center as a last resort of their parents. Many families cannot afford to feed their children, and as they see their children’s health slowly slip away, they have no other place to turn. There is a unique atmosphere of mingled hope and deep sadness, as parents make the courageous decision to leave their starving children at the malnutrition center, knowing that they are giving their child their best chance, as the parents continue to work to provide for their families back home. This means a difficult time of separation- generally about 3-6 months for the child to recover. 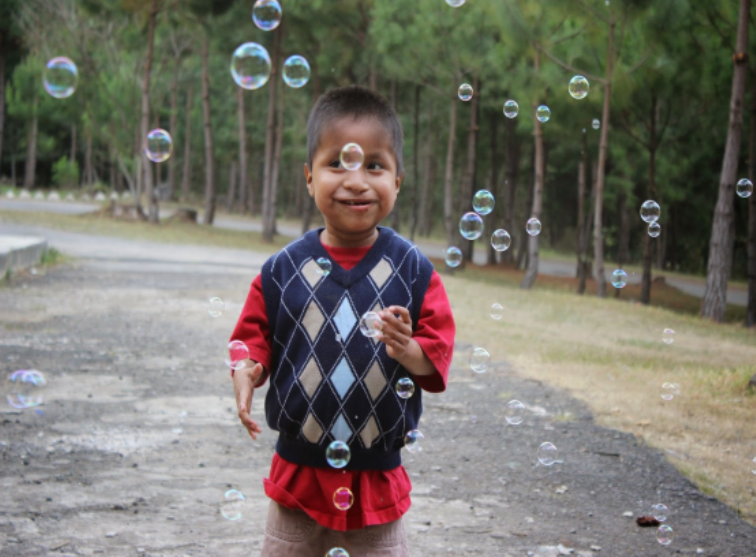 While at the center, the children receive wonderful and loving care from the Guatemalan nannies and medical staff there. However, the nannies have many responsibilities and have many children to oversee. These children crave attention and need the love of the Lord, so we consider it a true blessing for our teams to be able to use our time and talents to support the nannies at the center, by helping tend to the children and sharing the good news of Jesus Christ. Teams that partner here also have the opportunity to serve local day cares and adult care day-centers, serving, laughing, and proclaiming the good news of Jesus Christ there as well. There is something truly life changing about experiencing and serving in a culture outside of your own. Yet you will quickly find that you will receive more than you will give on this adventure. The staff and children of the malnutrition center are demonstrating the love of Christ, each day! It is our prayer that through your interaction with One More Child, your eyes will be opened to what the Lord is ALREADY doing in the world, and you will come to know that you can be a part His movement in your own back yard as you bring your new experiences and understanding home to your families, your church, and your culture. Let this opportunity serve as a catalyst for deep personal change, rooted in Christ, as you continue to minister to throughout your lifetime!